Thank you for visiting roboticbagpalletizer.com, Kelley Supply, Inc.'s site dedicated to the science and execution of robotic bag palletizing projects. Using this site is the quickest, most cost-effective way to budget, layout, select, schedule and purchase a turn-key robotic bag palletizer with the goals of your productivity and profitability. Put our market experience to work for you! 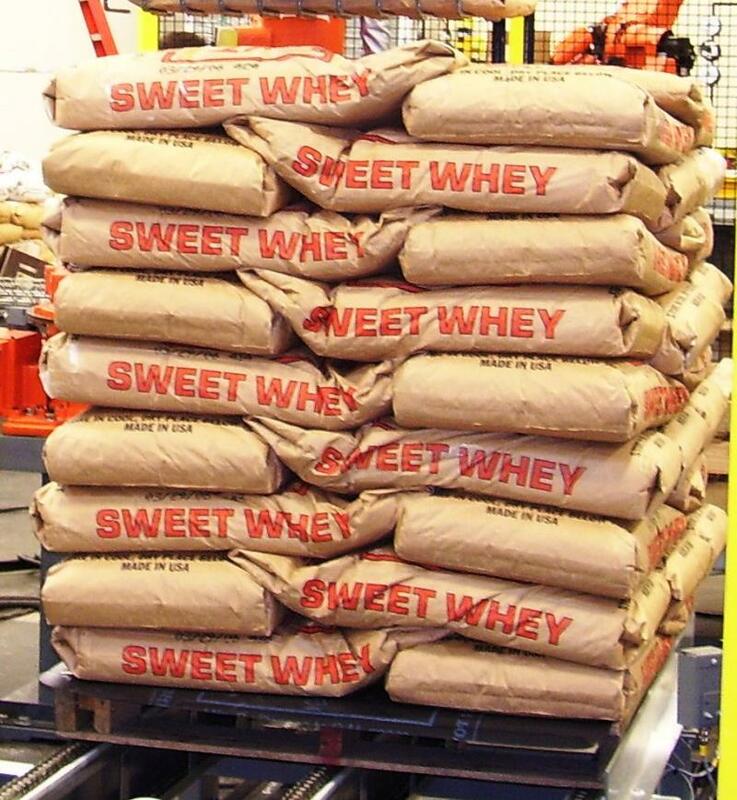 We specialize in the robotic bag palletizing of 50# and 55# (25kg) whey bags for the dairy industry, bags of yeast and other food ingredients, bags of animal feed, bags of seed and grain, and sugar bags. We also have developed solutions for food ingredients (such as malt, salt, etc. ), produce, petfood, absorptive minerals, softener salt, sand, mulch, soil, cement, and other construction materials. Our engineers have decades of experience in sanitary food environments so we understand the challenges producer packagers face in the dairy, yeast, culture, egg and other food ingredient facilities! Robotic Bag Palletizer Products - We have a comprehensive standard product line including robotic bag palletizers for up to 25 kg bags, as well as robotic bag palletizers for over 25 kg bags. We have cost-justified robotic bag palletizers for rates as low as 1 bag per minute, as well as robotic bag palletizers for up to 30 BPM. We manufacture / assemble our own equipment including robotic bag palletizer end-of-arm tooling, bag infeeds, pallet outfeeds, robot stands, sheet racks, pallet racks, ﻿pallet dispensers﻿, sheet dispensers, control enclosures, etc. We also distribute, implement and support conventional bag palletizers, bag fillers, bag inserters, bag sealers, bag kickers, bag turners, bag flatteners, stretch wrappers, metal detectors, check weighers, labelers, printers, and distribute nearly all types of conveyor. Robotic Bag Palletizer Project Execution - Robotic Bag Palletizer System Engineering, Project Management, System Integration, Programming, Controls, FAT's, and Field Services (See Below), etc. Field Services - Installation (Electrical and Mechanical), Start-Up, Training, Preventative Maintenance, Field Welding, Machine Service, etc. Robotic Bag Palletizer Consulting Services- We perform the due dilligence to determine the optimal robotic bag palletizer system solution before we ever specify a brand. We deliver a carefully considered, long-term, phased-in robotic bag palletizing system solution and you own the plans! We also routinely perform robotic bag palletizing system upgrades or robotic bag palletizing cell modifications that add products, increase bag palletizing rates, or modify robotic bag palletizer end-of-arm tooling in order to enhance robotic bag palletizer efficiency. Packaging Supplies Specification - We work with major providers of bags, film, corrugated, adhesive, ink, etc. to ensure that the system will operate seamlessly. 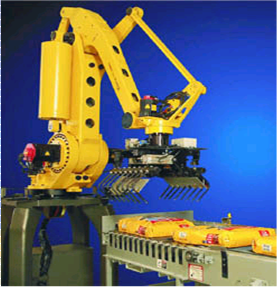 The Fanuc M410iB robot palletizing bags of pet food. 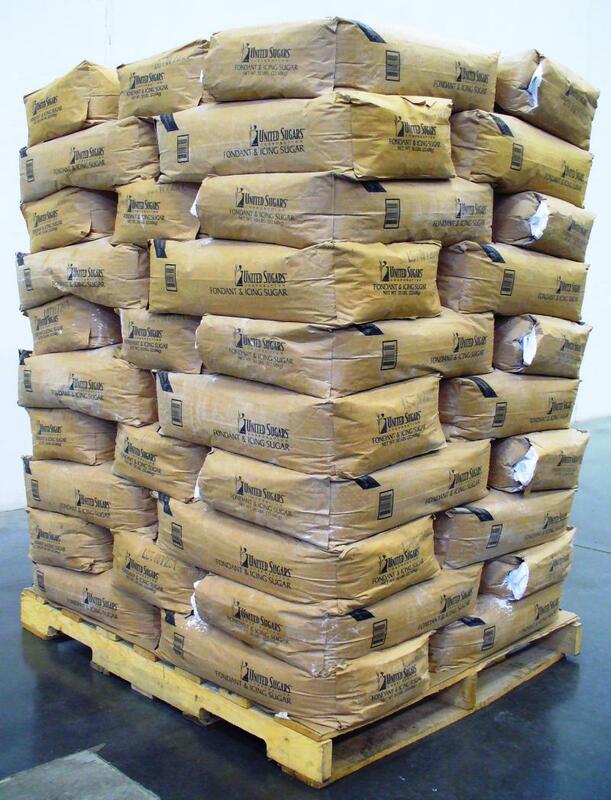 We will also custom design end-of-arm tooling for other bag palletizing requirements!